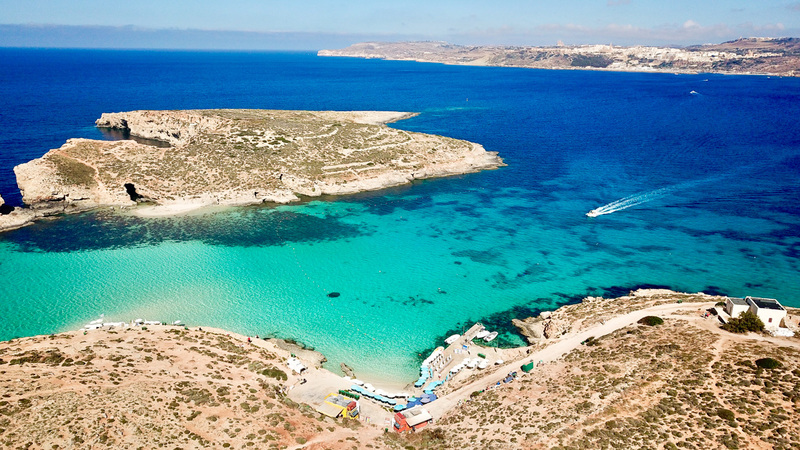 If you’re looking for a place to unwind, jump on the short ferry from Malta and head to its sister island, Gozo! 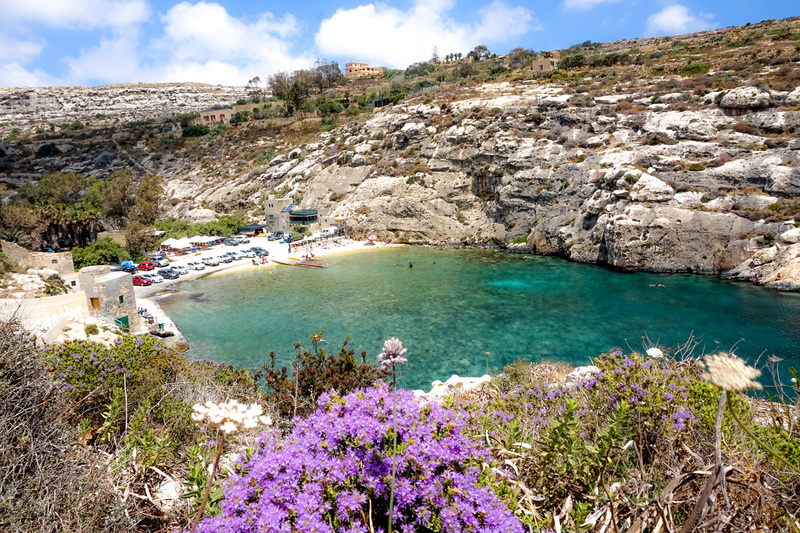 Gozo is a less developed version of Malta, an island with rustic charm. 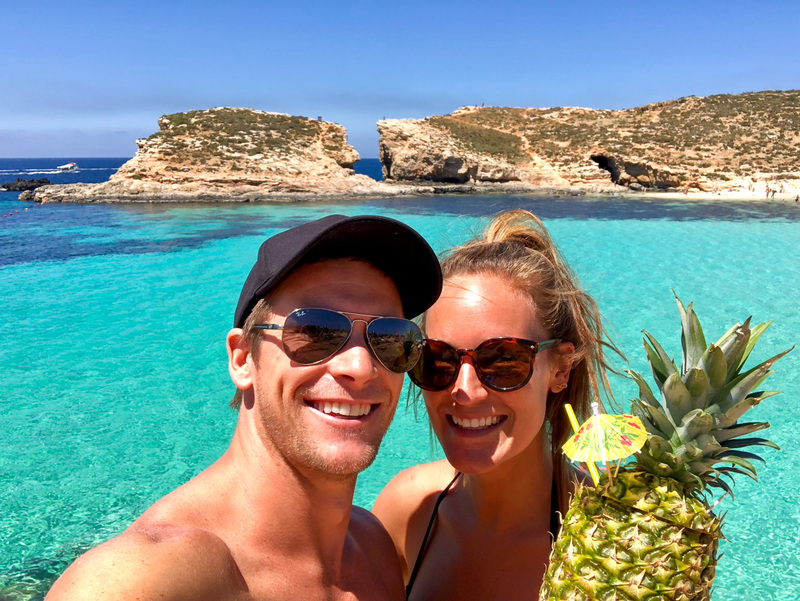 There is only one sandy beach on Gozo but there are plenty of beautiful rocky swimming holes as well as old historic temples, small concentrated villages, cathedrals, hikes, valleys, caves, endless countryside, incredible diving, and no shortage of places to wine and dine. 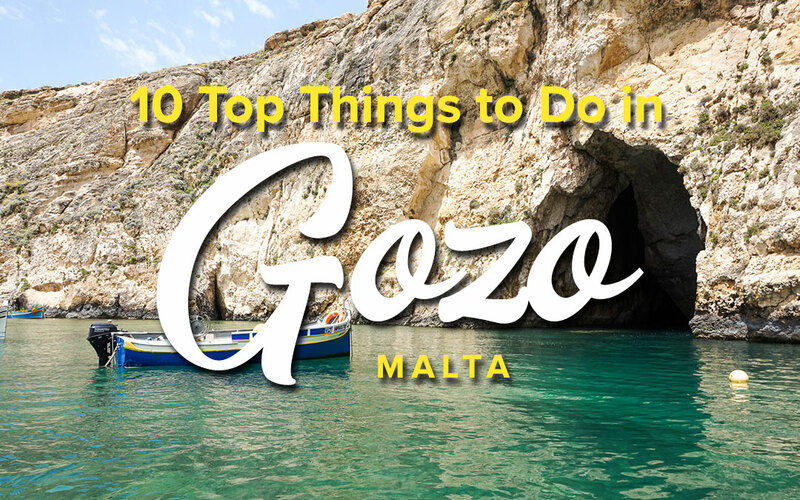 Also see our post on 10 Top Things You Must Do In Gozo, Malta. 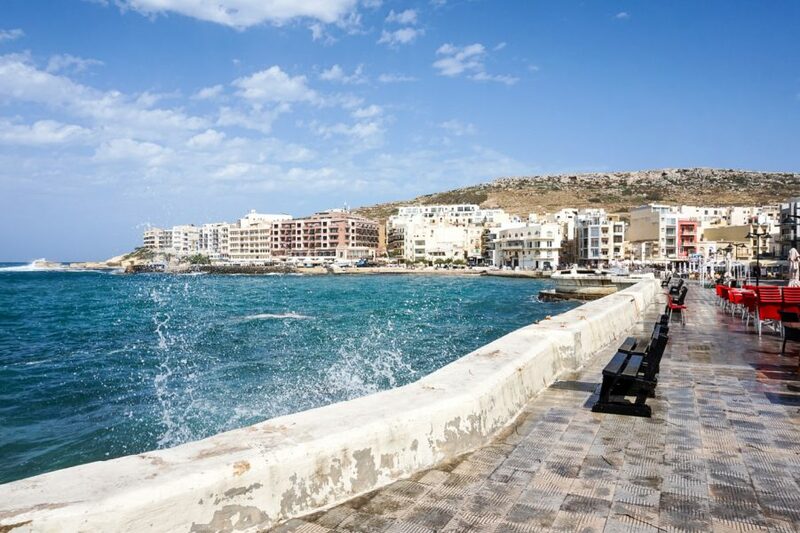 Whilst Gozo can be visited in a day trip from Malta, if your schedule allows it, we strongly recommend to spend a minimum of 1 night / 2 full days on the Island. 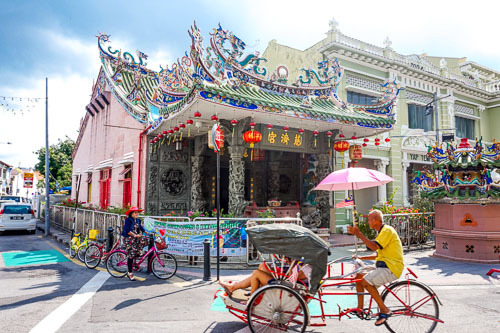 Whilst a day trip will allow you to see the top sights, it doesn’t give you the chance to really get a feel for this island. Stay when the day trippers have left and explore the island’s picturesque scenery at your own pace. Getting from Malta to Gozo was quite possibly the most seamless expedition we’ve ever taken. The ferry terminal located on Malta can be found at the most northern tip of Malta in Cirkewwa and in the southern part of Gozo in Mgarr. The ferries run back and forth every 45 minutes and you can find the timetable here. 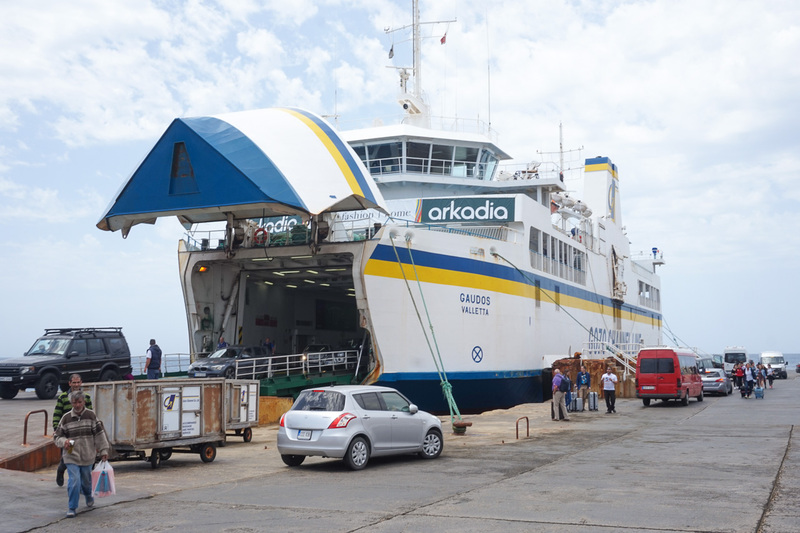 How much are the ferry tickets to Gozo? Tickets are purchased on a return basis for only €4.65. 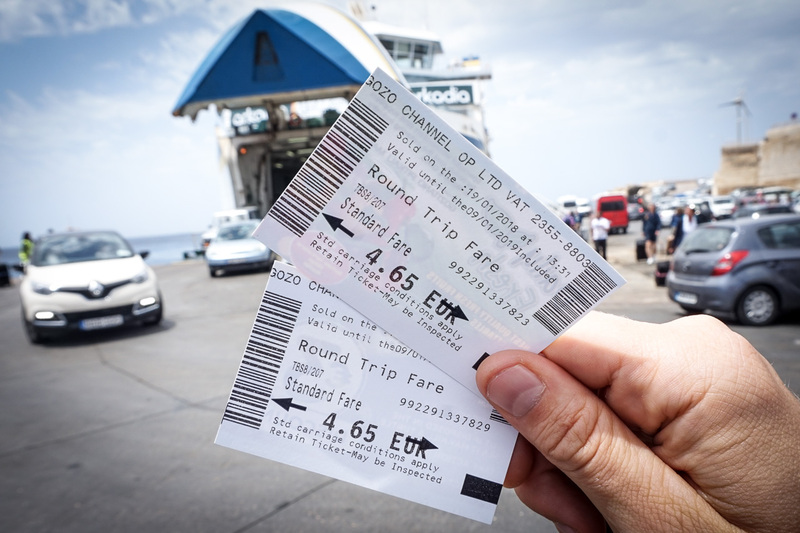 If you wish to bring your car/motorbike or bicycle on the ferry, you can, but the fare is higher (€3-€15) depending on the size of your vehicle and if you’re a resident. 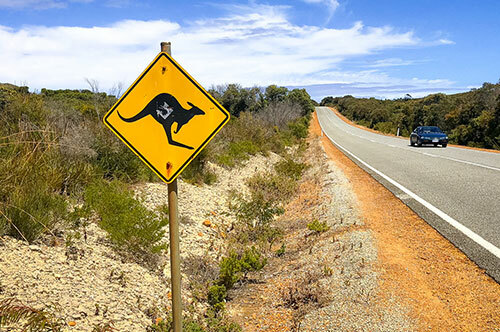 During peak season, the wait to get on with your car can be quite long so allow extra time. Gozo is small. And by small, we mean its possible to reach one end of the island to the other in just 30 minutes. The size of Gozo makes it a very accessible island to explore by scooter, ATV or car. The bus system is still efficient however they don’t run as regularly as they do in Malta and like any bus network, it takes away some of your freedom and removes minutes from your day. 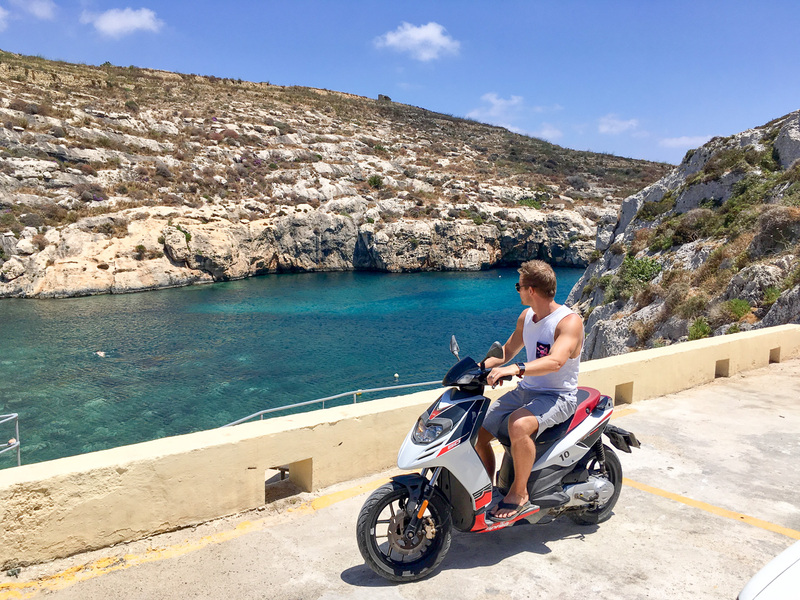 These are some reputable companies on the island to rent scooters or ATV’s: Gozo Quad Hire, Gozo Pride Tours, On 2 Wheels Rentals, Mgarr Tourist Services. 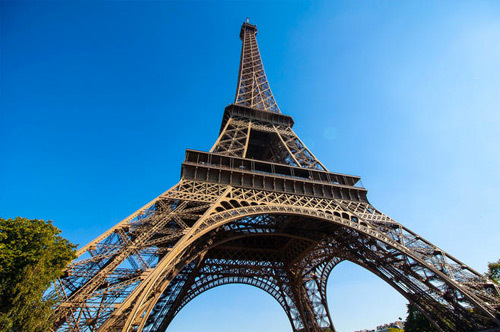 Prices range from €22 euro to €55 depending on what you rent and for how long. Multiple day rentals will bring the cost down. We’d recommend basing yourselves in the towns of Marsalforn or Xlendi. These fishing villages are located directly on the waterfront & both contain ample restaurants, swimming opportunities (although not sandy beaches), dive shops, bus connections for accessing the rest of the island and a range of accommodation for resting your head after a relaxing day in the sun. 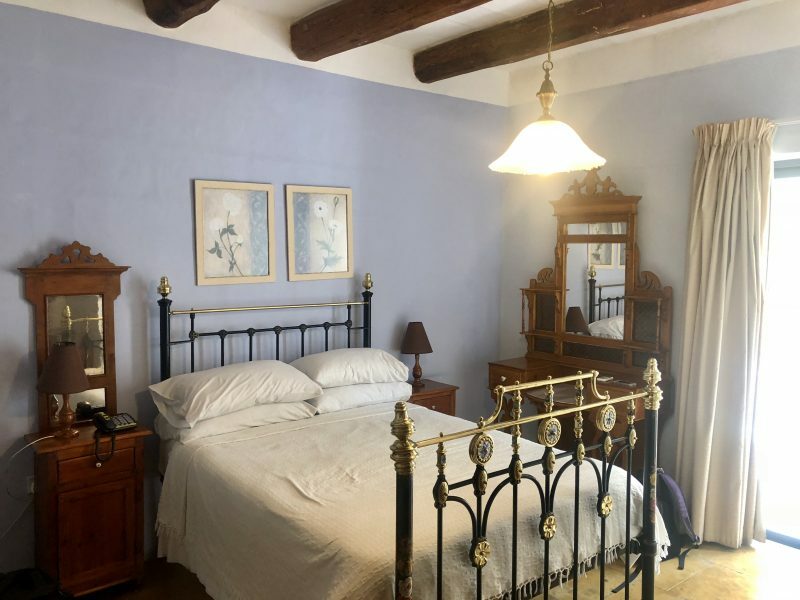 If you want to have more of a unique experience on the Island of Gozo, you could also consider staying in one of the very unique old farmhouses which have been converted to BnB’s in the towns of Ghasri, Xaghra, Gharb or the capital, Victoria. Most of these farmhouses will also come with their own pool (bonus!) and a much quieter feel. Maria Giovanna Guesthouse ($$) – An old Gozian home (shown above) converted to a guesthouse. Maria Giovanna is perfectly located right on the Marsalforn waterfront, with beautiful rooms and an incredible included breakfast. Murella Living ($$$) – An extremely clean, nicely decorated option, close to everything you’d need in Marslaforn; the seafront and the countless restaurants. Breakfast is included. MobyDick Apartments by RBG ($$) – Perfectly located with views of Xlendi Bay. The rooms come with a balcony and direct access to many restaurants. Hotel San Andrea ($$$) – Modern Boutique hotel with breakfast included, views of the sea and a conjoining restaurant. 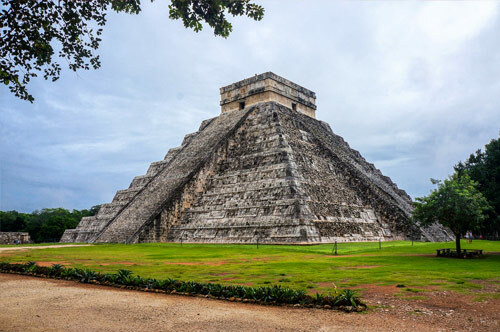 The rooms are slightly outdated and on the smaller scale but the views are worth it from the balcony. 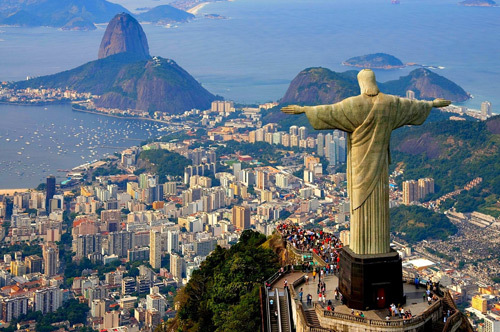 Tip: Heading here in the summer? Book well in advance to avoid disappointment. 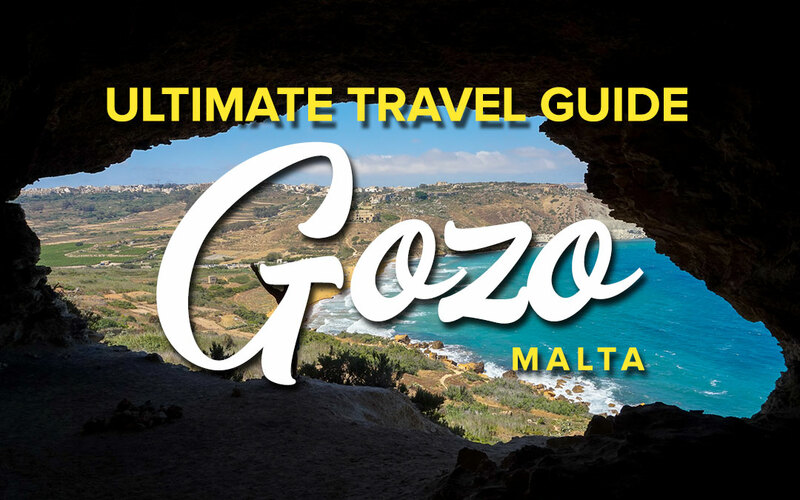 Gozo has something for every type of traveller. 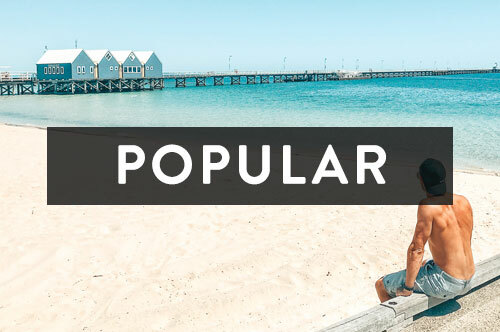 Cultural enthusiasts, photographers, beach lovers, adventure junkies, foodies and those who just wish to relax. In a further post, we go into far more detail about these top sights in Gozo. Read: 10 Top Things You Must Do In Gozo, Malta. Gozo really wow’d us in the restaurant department. We may have only been here 4 days but we definitely got around to our fair share of delicious restaurants, maybe a little too many!? You’ll find the freshest produce, most likely picked only a few short hours before it landed on your plate, from a farm that’s more than likely walking distance away. 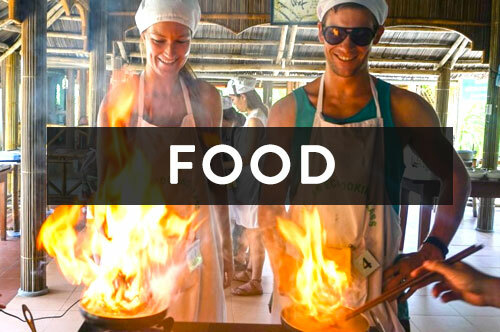 You can find these top restaurants pinned on the map above, in green. 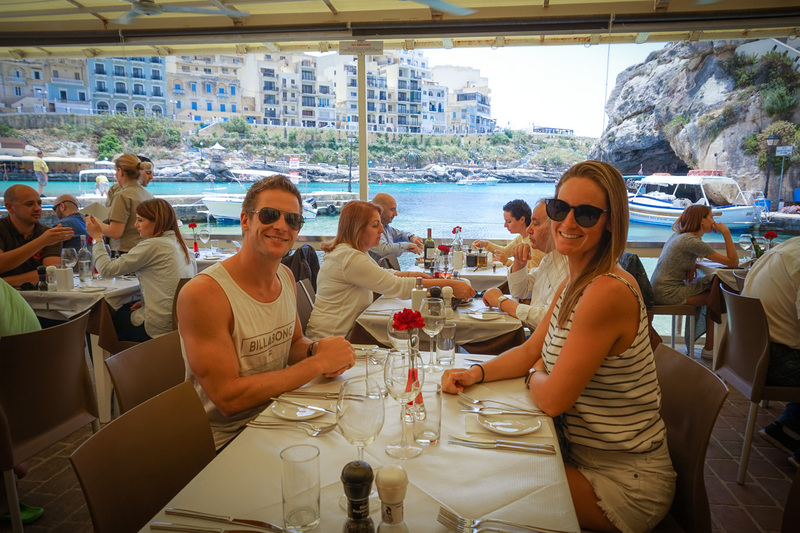 Sofia’s Bar and Restaurant (Xlendi) – Sofia’s was a great change from the typical Maltese cuisine. They offer Greek/Bulgarian dishes such as homemade tzatziki, stuffed bell peppers and a variety of mixed meat grills. Vegan and Vegetarian options also available. Great presentation and large portions. Otters Bistro (Marsalforn) – The location doesn’t get better than this! Perched on the end of Marsalforn Bay, Otters Bistro has a very extensive menu with friendly service and killer views. Try the rabbit! The Boat House (Xlendi) – Perfectly located on Xlendi’s waterfront (shown above), this restaurant offers everything from fresh seafood to steakhouse quality steaks, melt in your mouth pasta’s and desserts worth saving room for! Omg, we’re still dreaming about the lava cake. Brookies Restaurant and Music Bar (Rabat) – Brookies is making headlines for one of the best restaurants on the Island. Set in a beautifully converted farmhouse with a wine cellar, they offer a fresh, seasonal menu of Mediterranean feasts including dishes from the land, sea and a variety of pasta. Qbajjar (Zebbug) – This restaurant specialises in traditional Maltese and Mediterranean cuisine. Enjoy uninterrupted sea views at this local favourite. The portions are huge so they give you the option of ordering a starter size for some dishes. Goat cheese ravioli was delicious. II – Kartell (Marslaforn) – One of Marsalforn’s first restaurants, II-Kartell offers a wide variety of wholesome soups, fresh salads, platters, antipasto, seafood, meat, and poultry. Beautifully presented dishes along the waterfront make this casual dining one not to be missed. Ta’ Frenc (Xaghra)– One of Malta’s award-winning restaurants and with good reason. Located in the countryside of Gozo, this restaurant puts a twist on the typical Maltese Cuisine combining local flavours with a French influence. Bookings recommended. Tal – Furmar (Xaghra) – A bakery for the past 100 years, turned restaurant over the past 7 years. A great place to sample fresh typical bread and locally grown produce. Their dishes are seasonal and they use their own wine from their vineyard in some dishes. 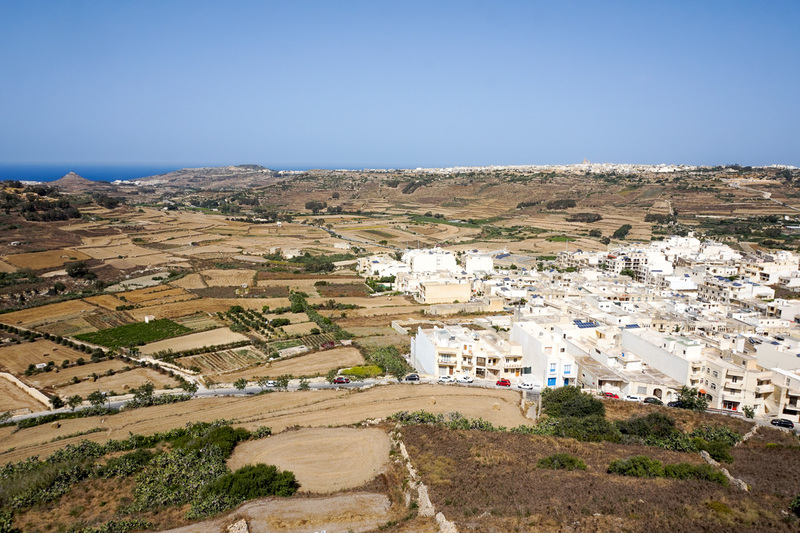 Ta Mena – (Xaghra) – Ta Mena Estate is somewhat unassuming from the road, but don’t be put off! This family-owned winery is worth the visit. Sample the local wines, roam the vineyards, meet the farm animals and taste their local delicacies such as cheeses, marmalades, honey, olives and olive oils. You’ll be sure to leave with something! Note: Wine tasting tours need to be pre-arranged so call ahead. Note: You can find some of these restaurants inside the Malta Discount Card book, allowing you to get up to 50% off your total bill (drinks excluded). Be sure to read the terms and conditions as some require advance booking. Oh my goodness me. 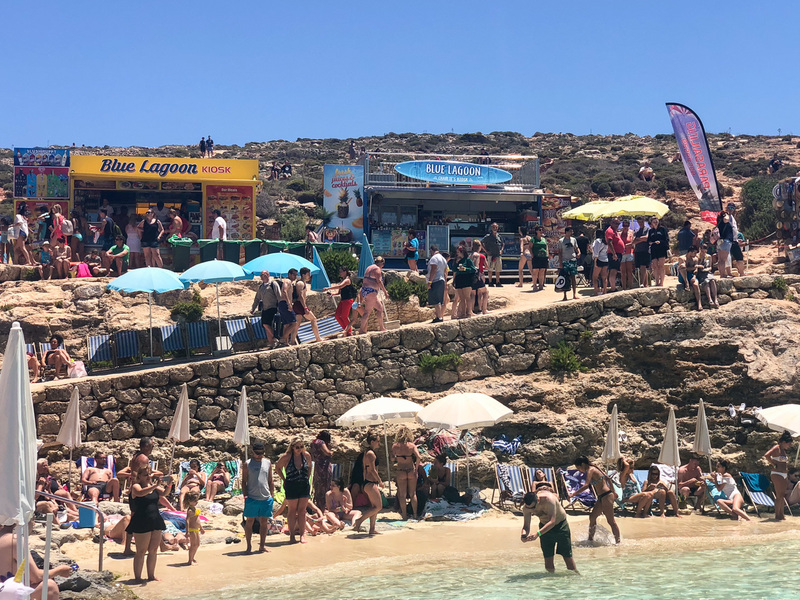 Let’s take a second, or a whole section to talk about Comino and the world famous Blue Lagoon. 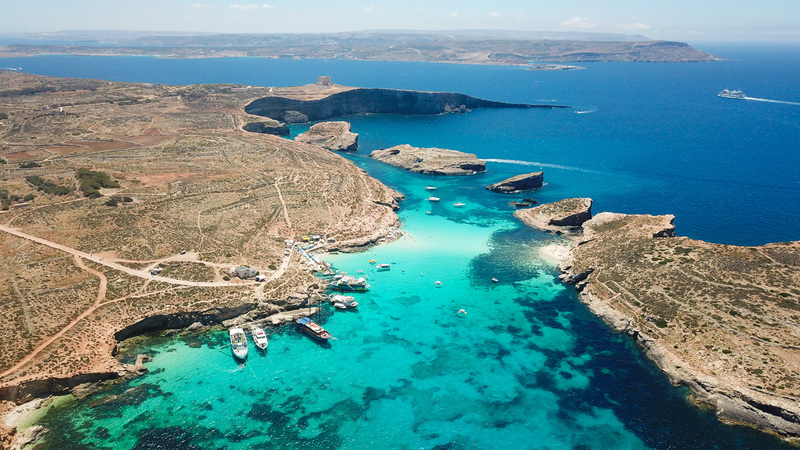 Comino is located in between Malta and Gozo and is the smallest of the three islands. We’ve seen some pretty incredible ocean colours in our travels but we’d have to admit, the clarity and colour of the water at The Blue Lagoon will give even the Maldives a run for its money. Comino was a definite highlight of our trip to Malta, despite how crowded it became after 11 am. 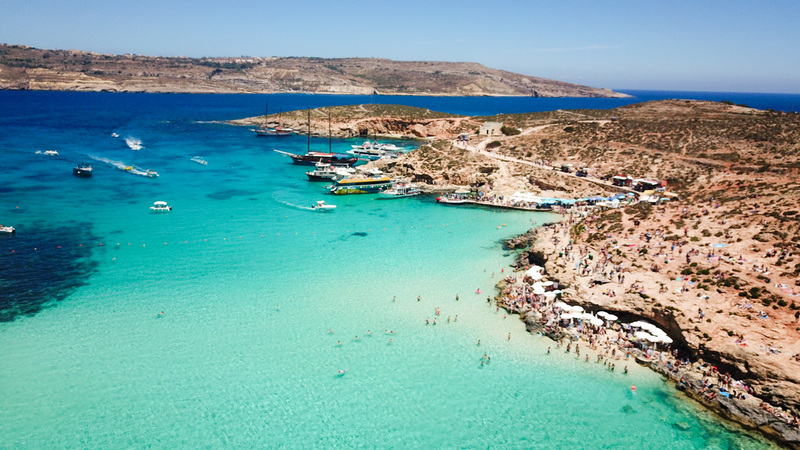 There is only one hotel on Comino so it is best visited via a day trip from either Malta or Gozo. The boat trip takes roughly 10-15 minutes depending on the sea conditions. Tickets can be bought for €10 or €15 if you wish to take a tour to the caves. They run on the hour every hour and during the summer, they go when they fill up, which we were told was every 10 minutes. What to Expect at The Blue Lagoon? 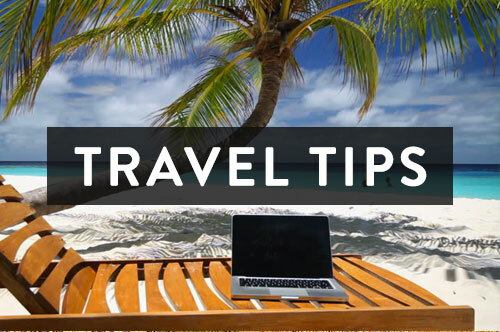 Don’t arrive and expect to see a large white sandy beach with ample space to lay your towel down. Do expect to have your mind blown by the incredible colour of the water and the unbelievable beauty that is before you. Beach chairs & umbrellas can be rented for €20, although there is only a small selection available. If you choose not to rent one of these you’ll have to find yourself a comfortable spot on top of the rocky cliffs. It can be quite uncomfortable so bring an extra towel or yoga mat. There are no restaurants but don’t worry, you won’t go hungry. There are 5 or 6 food trucks selling a variety of basic food (sandwiches, burgers etc), cold drinks, alcohol (pina colada’s in pineapples for the win!) pool floats, snorkels, towels, sunscreen, ice cream & coffee. There are also public toilets and showers, as well as lockers for rent. 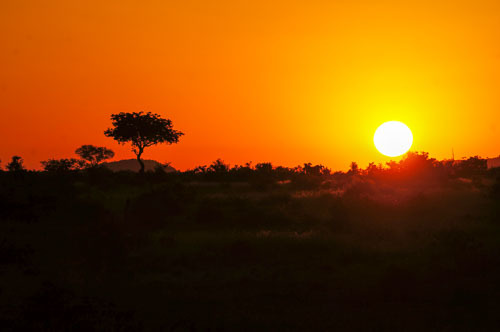 Hot Tip: Put your alarm on & get there as early as possible. I mean, early. The first ferry of the day early. You’ll thank us later! We arrived at 9:00am and it was incredible to see The Blue Lagoon with very few people. Once 11:00am came, herds and herds of boats arrived and it turned into a zoo. Crowded, noisy and choatic. What was once a picturesque scene quickly looks like a crowded hotel swimming pool. 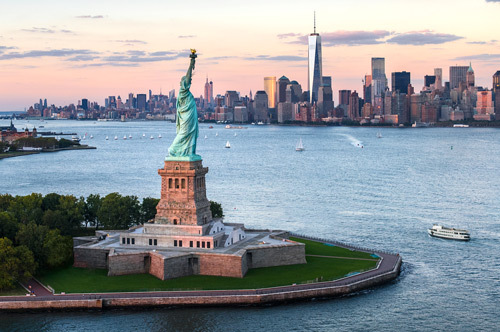 I can’t even imagine what its like during the peak of summer… I’m starting to think they should put a cap on how many visitors come here daily. 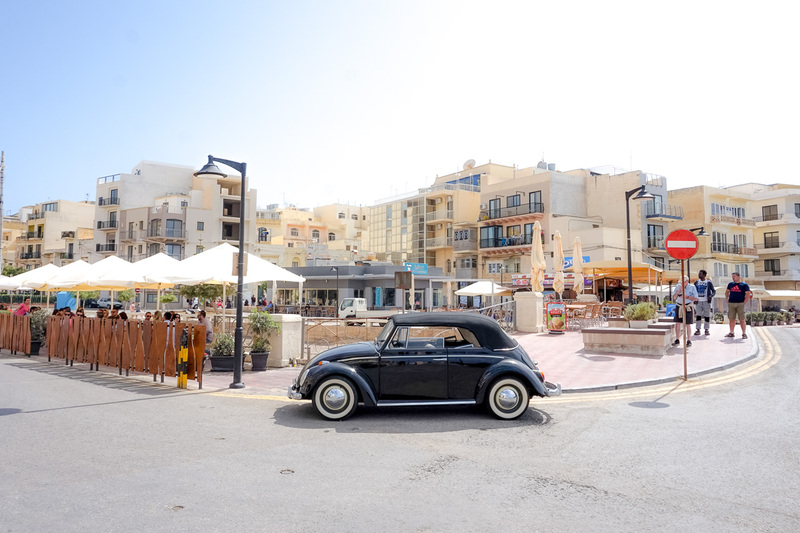 Have you spent time on Gozo before? Let us know your highlights! 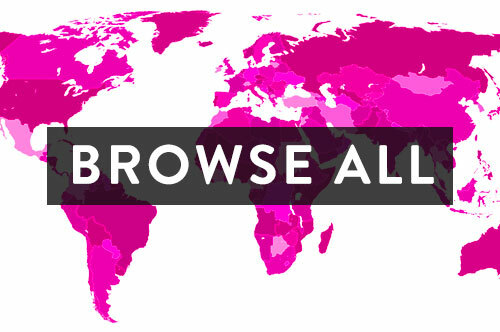 There’s no doubt we’ll be back to this island so we’d love to hear if we missed anything! Read: 14 Top Things You MUST Do in Malta: The Ultimate Bucket List. Disclaimer: Part of our experience in Malta was made possible in collaboration with The Malta Tourism Board. As always, opinions, recommendations and photographs remain our own.